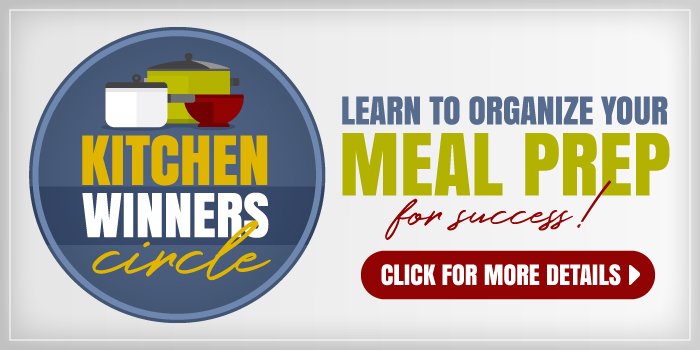 Want to make chicken and fish dinners quick and easy? Mix up a batch of herb butter to keep in the freezer. It creates an instant, delicious sauce. I’m coming to realize more and more that great tasting meals don’t need to be complicated. They don’t need a laundry list of ingredients. They don’t need hours of preparation. In fact, in order to eat well, you just need a handful of good quality, whole foods ingredients. Vary the side dishes, include herbs and spices and a hearty portion of vegetables, and you’re pretty good to go. Take fish for instance. In many cultures, it’s a humble food, there for the catching. 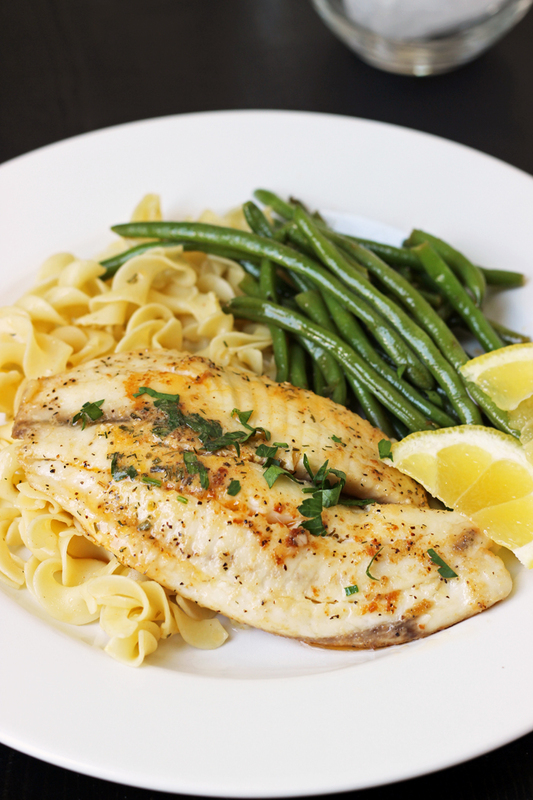 As long as you have good quality fish and some simple ingredients, you can make it taste like food fit for a king. 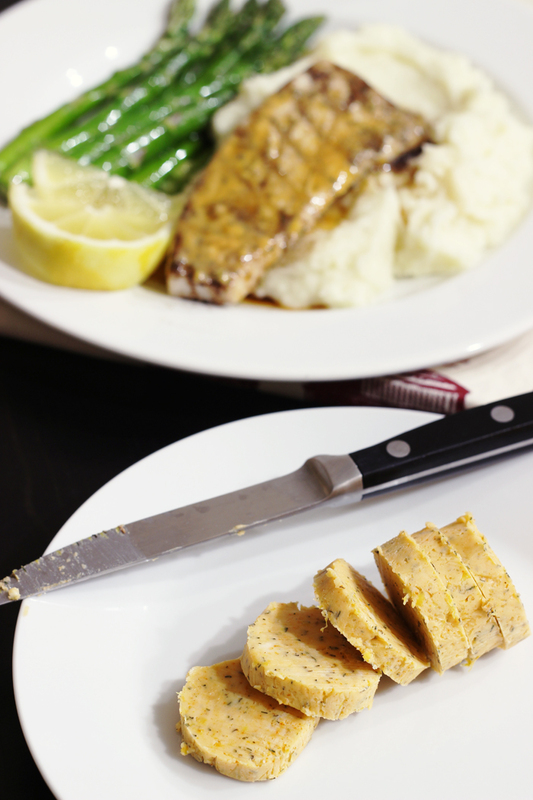 This herb butter is a great accompaniment to simply cooked fish. So much so that I recently turned three fish-hating kiddos into fish-lovers. I didn’t do anything complex. I simply seasoned tilapia with salt, pepper, and garlic powder and fried it simply in a pan with some olive oil. Once it was cooked, I dabbed on some of this herb butter. The butter melted into an instance sauce. Serve with a squeeze of lemon juice, the kids were hooked and asking when I would make it again! A compound herb butter like this one is super easy to make. Just mix herbs and spices into softened butter, wrap in plastic wrap, and refrigerate until firm. When you’re ready to serve, just slice a few pats and add them to hot fish, chicken, vegetables, or noodles. The butter melts into an instant sauce. This is a great recipe to include in your next round of freezer cooking. As we approach grilling (and fishing) season, you don’t need to get all complex in your cooking. Quite the contrary. Make things good, simple, and delicious, with just a dab of herb butter! 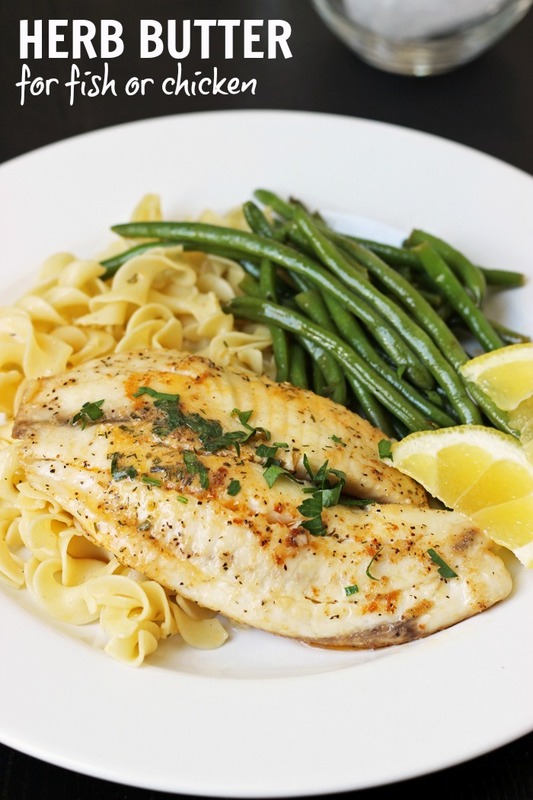 We’ve enjoyed this herb butter on tilapia, mahi mahi, and egg noodles. It’s been delicious every time — and oh so easy! In a small bowl combine the butter, lemon zest, sea salt, paprika, dill, and tarragon until the fully incorporated. Lay out a small piece of plastic wrap. Spoon the butter into a long line. Wrap the plastic wrap around the butter, forming a tight cyclinder. Chill until firm. 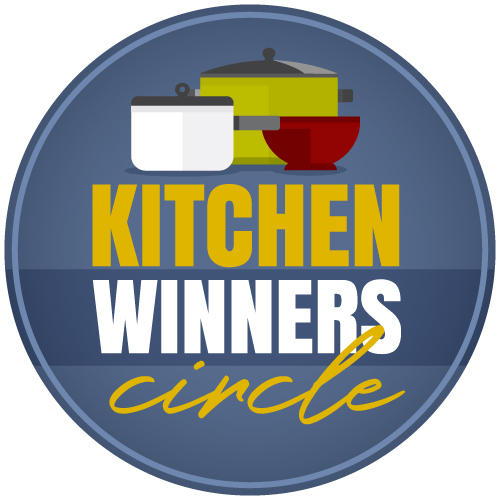 To serve, slice the butter cylinder into 8 slices and place atop hot cooked fish or chicken. The butter will melt, creating an instant herb sauce. Refrigerate for one week or freeze for up to 4 weeks. Thaw in the refrigerator before serving. You suggested these a couple years ago (with a cheese in them, Gorgonzola or bleu cheese or some such) and I made a few types then, liked them, but never got around to making more. What I have done a lot recently is a pesto butter using the pesto sauce from Costco. I got the idea from their salmon milano from the deli, except I thought there was way too much butter in their combination. I’ve used it on fish, pasta, and rice, but haven’t tried it with chicken or steak yet. I need to make some herbed ones again and this one sounds good (although I’m thinking I’ve learned I’m not so fond of tarragon) but I don’t have any fresh lemons to zest. Just squirting some of my lemon juice into the mix should work, right? I’m thinking it should just incorporate into the butter. Alternatively, I could soak the herbs in the lemon juice before mixing them into the butter but I’m not sure if that would make it too concentrated. A friend’s neighbor makes parsley butter — butter, parsley, salt and garlic, maybe some crushed red pepper flakes. It is good on nearly everything: meat, poultry, fish, vegetables, pasta and bread. I’m a huge fan of Italian food, especially authentic Italian food. One source says that an authentic recipe probably won’t have more than six or seven ingredients, including salt and pepper. If you see a recipe with more than ten ingredients, turn the page. 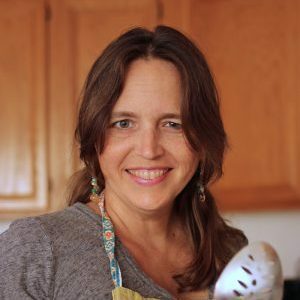 Are you using unsalted butter? No, unless specified, my recipes are always salted butter. Good question! I doubled this recipe to freeze, and I put it on our chicken tonight. Awesome! Thank you so much for sharing. Now, I put the butter on the chicken while it was still in the pan at the end of sautéing. I’m guessing that’s best? Yes, that’s right. I’m sorry I took so long to answer your question. My comments file has gotten unwieldy.